Do come along to my last Aberdeenshire show of 2018! I will be joined by Aidan Moodie and Graham Rorie for a performance at Aberdeenshire’s newest Doric and Traditional Music Festival, Across the Grain. 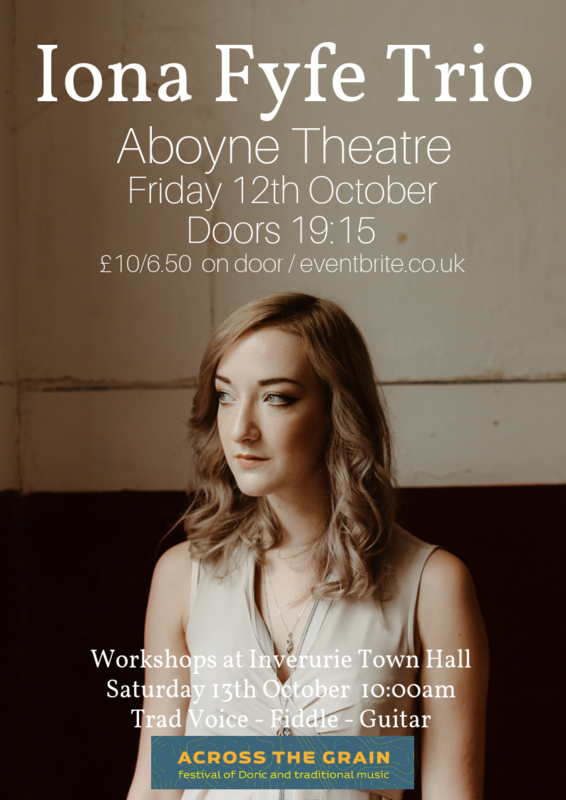 This will be held at Aboyne Theatre on Friday 12th October. Tickets are £10/6.50 on the door or from eventbrite.